We went today at Magic Kingdom to see Mickey & he wasn’t talking. Was told he had to save voice for show. Was disappointed after waiting 55min to see him. When is he talking. Also told it wasn’t advertised that he was talking??? Going to Disney Land in CA in December – will talking Mickey be on the west coast too? I hope so!! Any chance that Mickey & Minnie will be chatting at the November 11 Christmas Party? Or should we pay a visit to magician Mickey before the party starts? He’s ready and available to chat anytime! Can’t wait! 5 more days and my little ones with get to experience the talking Mickey on their 1st trip! I hope you enjoy meeting Mickey! Just got back from Disney World and saw Magician Mickey in Town Square last week Sat NIGHT Oct 12th. He DID NOT Talk. Are there certain times or dates that he talks? Our little Boy right now is all about Mickey. He LOVED Disney Junior -Live on Stage. If you ask him who he likes more Mommy, Daddy or Mickey. Nope – this experience is now ongoing at Town Square Theater. That’s great to hear you all had a good time. Disney Junior is one of my son’s favorites! Gotta get those gold doubloons! Oh wow, we’ll be there in less than 2 weeks, I can’t wait to speak to Mickey. I’ve heard that you need a fastpass for this, is that true? No FastPass required (although FastPass is available!). Since Mickey is blinking now, I wonder how many photo’s have to be retaken? This is awesome! I hope you like it, Craig! We will be paying Mickey a visit at Town Square Theatre on Saturday! My sons are going to flip when they see this! We were there in March, but he wasn’t talking yet then. I was just there yesterday. Mickey did not talk. He also did not have on his magicians costume. He was however in the magicians “dressing room” which was neat to see. Mickey was dressed in his standard red, white and black clothing. He took a photo with us and waved goodbye. He also did not do any magic tricks. Jennifer, you may or may not have this information, but if you do…could you give any insight on if we will see Mickey start to talk to us at Disneyland anytime soon? Pretty please? OH MY GOSH! He has a cape! Your response made me laugh – I hope you get to visit soon! FINALLY talking characters…now Disney is perfect! Is this part of Limited Time Magic or is it permanent? Also, is the Princess Meet & Greet still happening at The Town Square Theatre? Wow! I can’t wait to talk with Mickey on my visit on the 27th! Is talking Mickey only at WDW at this time – not DLR? So, just trying to get clarification, does this mean that Mickey will be talking from now on? 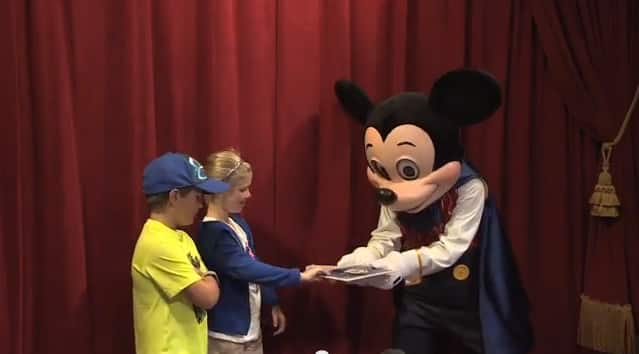 We’re going with the family next October and it will our niece’s first time and I think meeting a talking Mickey would be amazing for her…I really hope this is a permanent thing now! Very awesome stuff! I’m sure Mickey will love to chat with her during your trip in October. is this just a limited time magic event or something that will happen all the time? I would probably freak out if he talked to me – in a good way!! Joe – Mickey’s meet and greet is NOT a part of Limited Time Magic. He’s there every day. I hope you can visit again soon! We were just there the 18th and visited Mickey…but he didn’t talk? Is this a linited thing? Fingers crossed, thank you Jennifer. Thank you Jennifer but does the talking Mickey meet guests every day now or is it for a limited time? 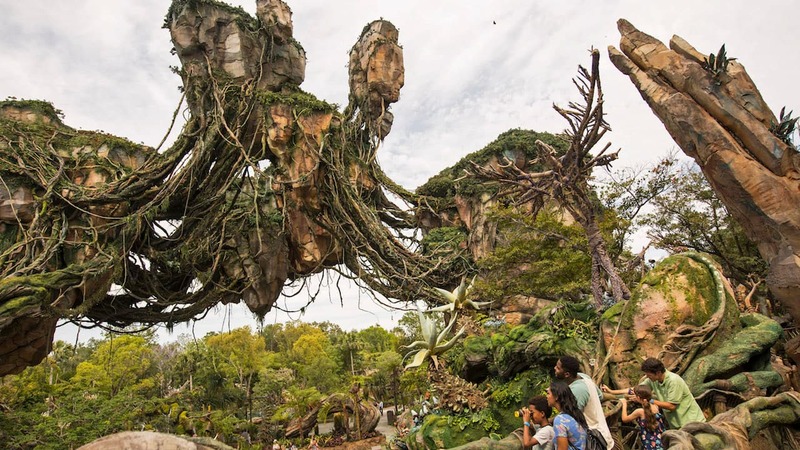 Sadly we won’t be in WDW till next year so would really love to see this. Karen – I’m sure Mickey would love to chat then! I went on Thursday 10/17, used a Fastpass+ to see Mickey and got to talk to talking Mickey. No magic tricks, but I was still blown away. It didn’t even hit me till I was saying goodbye to Mickey that he was talking. Wow talking Mickey! Please could you let me know if this is available now and for how long. Many thanks. 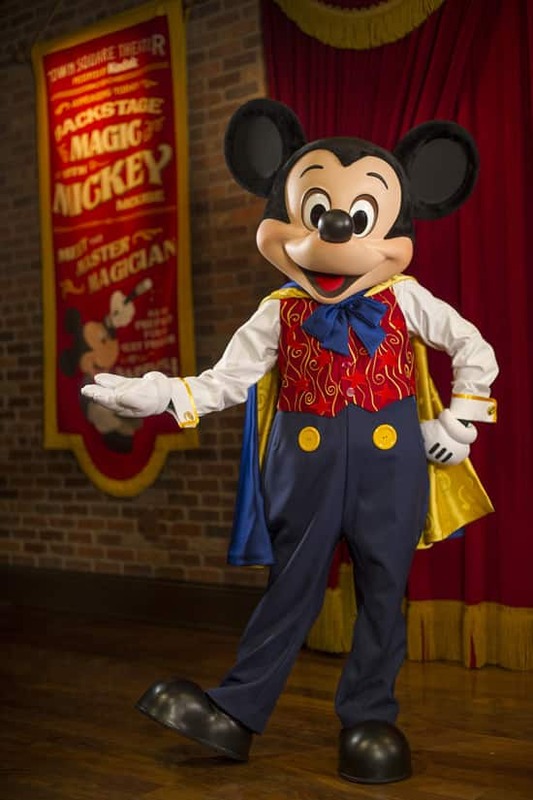 Mickey greets guests every day at Town Square Theater at Magic Kingdom Park. Does this mean “talking Mickey” is now going to be at the park all the time? OMG, I have been waiting for Mickey to finally talk at meet and greets since I saw something a few years ago from Disneyland. I think I would die if he talked when I walked in. I am so excited! Mickey Mouse can talk! WOW – Is mickey finally talking – all the time?